Venice is a unique city, floating on water and visited by tourists from all over the world. Venice is world-known for its Carnival, during which the city turns into a colorful city full of masks and beautiful costumes. Many balls are organized in sumptuous palaces along the Canal Grande the magic atmosphere brings us back to past times. If you are in Venice for the first time, you can’ t miss a best tour of the city. 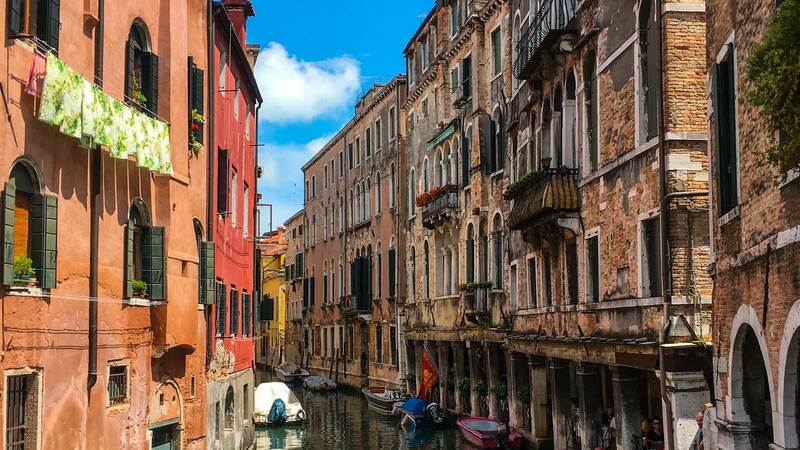 It means the main St Mark’s square with the Doge’s Palace and the St. Mark’s Basilica, as well as other attractions in the surroundings like the Bridge of Sighs, Marco Polo’s house and the Santa Maria della Salute Church. Then take a bit time to have a relaxing walk along the “Zattere” to enjoy a beautiful view of the Redentore Church and of the island of San Giorgio Maggiore with its imposing neoclassical Basilica. If you have already been here, you have unlimited possibilities to discover an alternative Venice, hiring an expert guide. You’ll pleasantly get to know an amazing city, full of traditions, legends and popular sayings passed down among one generation to another. Between all these beautiful surprises don’t forget to have a rest in the famous bacari to taste the typical cicchetti. That’s a good idea to put your map into your pocket and walk around without a destination for a while; you’ll be surprised how many suggestive and hidden corners you will chance upon.